The Tree of Life Review. In this product-driven age, that alone should make any of his films worthy of interest, but fortunately in this case The Tree of Life is a success on its own terms. Destined to send mainstream audiences fleeing from the theatre in confusion, and to send critics into an argumentative tizzy (Is is brilliant? Is it ambitious but masturbatory? 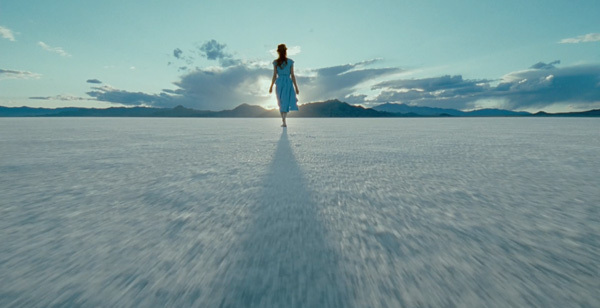 ), Terrence Malick's The Tree of Life is an astonishing, infuriating movie. 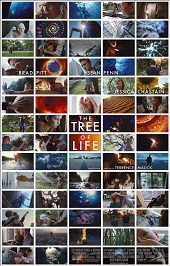 Attempting to capture the whole range of human experience – and plenty beyond that in sequences that depict the creation of the universe and the afterlife – it’s easily the most distinctive film of the year technically, which has Malick abandoning all conventional notions of editing continuity to create an ethereal experience that has more in common with dreams and memory than traditional screen narrative. That's going to frustrate many, but if you prepare yourself mentally for the challenge, you'll be rewarded with a sometimes profound, only occasionally overwrought examination of life and its place in the universe. The story – what there is of it – focuses on the strained dynamic of a family living in Waco, Texas in the 1950s. Tension comes mainly from an overbearing father, played with conviction by Brad Pitt. He clearly loves his three sons (most notably Jack, played briefly by Sean Penn in flash-forwards), but is quick to loose his temper. His graceful wife (played by 2011-it girl, Jessica Chastain), straddles both parties. To ensure we grasp the breadth of Malick's intentions, around the 20-minute mark we're treated to a twenty minute, CGI-assisted sequence of the formation of the universe and – I’m not kidding – some touchy feely dinosaurs. Things settle down afeter when the focus turns to the family in extended, tangentially connected sequences featuring minimal dialogue and whispered voiceovers. The Tree of Life has been compared to 2001: A Space Odyssey in terms of scope, though this is a more intimate, humanist film than Kubrick's epic vision, which had a more intellectual, analytical bent. It also – somehow – has less of a story; Malick's daring with his beautiful, almost musical editing has a hypnotizing effect, but narratively there's not a lot to grab onto. 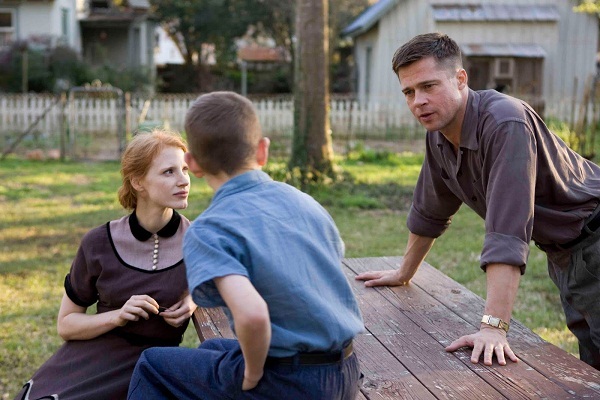 That’s much of the point – Malick’s never been interested in traditionally storytelling, per se. He’s more of a painter, using film as his canvas to create his own kind of visual poetry. On those terms, this is unquestionably the work of an iconoclastic filmmaker. In this product-driven age, that alone should make any of his films worthy of interest, but fortunately in this case The Tree of Life is a success on its own terms. As scrapbookey as it sometimes feels, this is a Malick film through and through. There’s nothing else quite like it. Outside of a theatre, Blu-ray is the only way to see this beautifully shot movie. The format brings out the subtleties of Emmanuel Lubezki’s low-key cinematography, and the DTS-HD Master Audio 5.1 audio track does wonders for Alexandre Desplat’s moody score and Malick’s usual eclectic mix of classical music (which includes Mahler, Holst and Bach, among others). Malick is notoriously publicity shy and not surprisingly makes no appearance in the 30-minute behind the scenes documentary included on the disc, Exploring The Tree of Life (29:56, HD). Instead are interview snippets with the cast and crew, and notable filmmakers who've been influenced by Malick's filmmaking (David Fincher, Christopher Nolan). It's a thoughtful doco with some insight into Malick’s unconventional working methods, appropriate for a film with such big ideas on its mind. Also included is the Theatrical Trailer (2:08, HD).